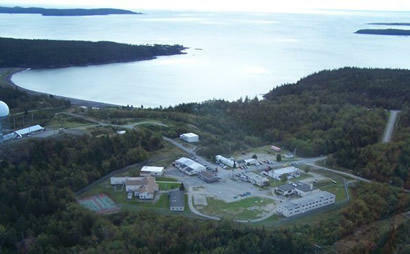 An aerial view of the Downeast Correctional Facility in Machiasport. "She's not going to tell the governor how to do the right thing any further than she already has," Webbert said. "And we have shown harm caused by illegal actions, so the normal remedy for that would be to get monetary damages." LePage attempted to close the prison, arguing that it was too costly and inefficient for the state to maintain. But Justice Murphy ordered the state to reopen the facility after Webbert sought injunctive relief from the court. 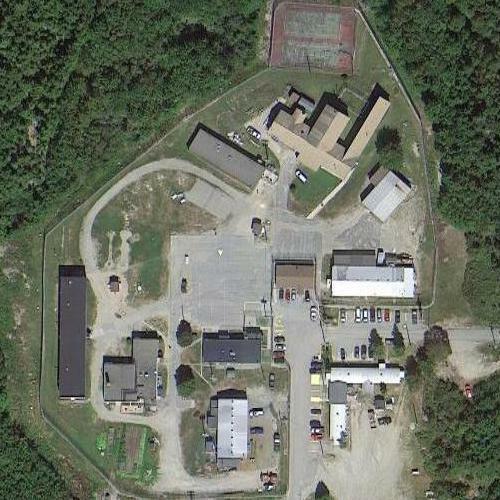 Without legislative approval for additional money, funding for the Downeast Correctional Facility will terminate June 30. Unions representing prison workers argued that the LePage administration didn't add enough staff or inmates. But Murphy said lawmakers are free to enact new legislation requiring specific staffing and inmate levels at DCF. Webbert said the judge's order reflects the concerns the issue poses for the state's three branches of power. "It's kind of a conversation between the legislative branch and the judicial branch about how to deal with illegal abuse of power by the executive branch," Webbert said. "I think the court is saying that, 'I did my part, now it's time for you to do your part, because we have checks and balances here.' "
Time is running out for the Downeast Correctional Facility: It will close for good June 30, unless lawmakers authorize additional funding for another year. Right now, lawmakers can't agree on whether a planned pre-release center should move forward in Washington County or whether the governor's decision to abruptly shut down DCF should be carefully reviewed. And with the legislative session nearing its end, hopes for either option are dimming.